Hi everyone! 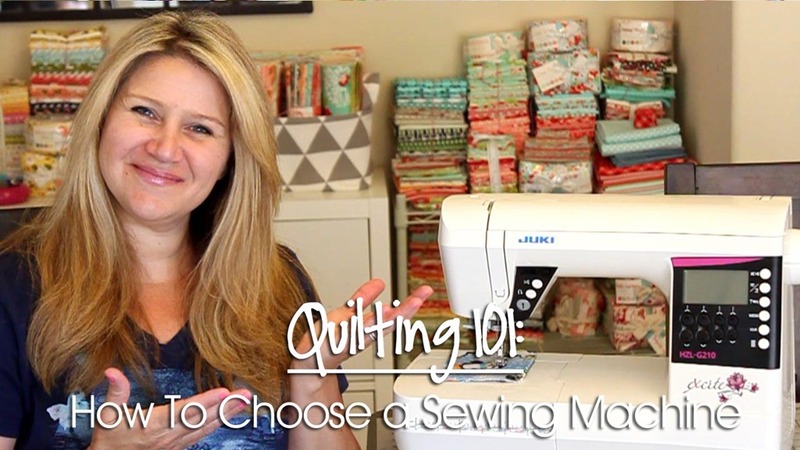 I’m back with another video in my Quilting 101 series today. I think one of the hardest things to do is find a good sewing machine. 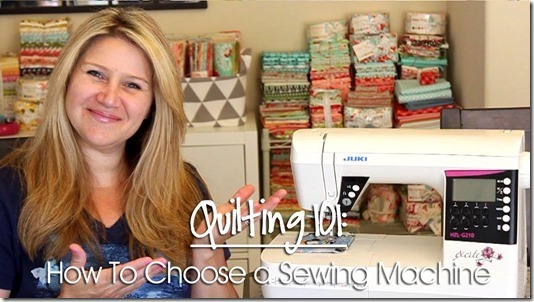 But today I’m going to share with you my favorite features that I think will be helpful in your search for a machine that will be best for basic home sewing and quilting. Keep in mind that if you plan to do embroidery the features will be different. The features I’m talking about today are specifically good for general sewing, piecing and free motion quilting your projects! I recently purchased the Juki TL 2000Qi which is a straight stitch quilting machine and love it! And don’t forget to follow Pleasant Home Instagram on social media to keep up with all of her fun projects and products! Now for the fun part! Jodi from Pleasant Home has generously offered to sponsor today’s giveaway! I have the cutest set of one pin bowl plus a ruler pal for one of you today! Make sure to enter the raffle copter below to enter to win! The video won’t play. Says it is marked private. Oops thanks for letting me know! It’s fixed! Yes, sorry I had it listed wrong, but got it fixed! So cute!!! Pick me, pick me! 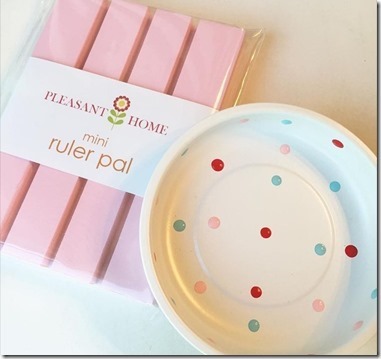 That Pin Bowl and Ruler Pal are precious! I want to buy it where can l buy?? I got it from Pleasant Home on Etsy, however I believe Riley Blake Designs picked up her pin bowls, so you may have to get the bowls from them now. Oh dear! You just killed me saying that you wouldn’t consider Singer or Brother Sewing Machines. and just a few different stitches because I AM NOT GOING TO SEW ANY GARMENTS. The one I found with the features I needed is a Brother Innovis 10a (50th anniversary edition of Brother in Europe because I live in Italy) affordable (350.00 Euros almost US$400) but not cheap. For stright stitching and practicing on a sandwich is ok but as soon as I tried to FMQ on the real quilt, is a disaster. The fabric seems to get stuck in the plate, Of course I try to move it unconciously and there is the leap on the thread. It is hard to sew on the fabric joints (?) because it gets stuck or doesn’t flow smoothly. FYI the feed dogs are down, I put a new needle, I tried to do it with the pedal and/or the start/stop button, I am using Hobbs batting so it is not thick at all, gloves, I have an extension table, BUT… I am using a generic FM foot.. Do you think that can be the reason it isn’t working properly? In Italy they don’t know much about quilting so that is a problem.I purchased it online so it gets difficult to explain the people on the other end of the line what you are experiencing. Especially because quilting terminology in italian is horrible. I apologize for this long message but I hope you will be able to help me. I discovered you last night and I love your videos. I’m sorry you’re having issues, I wouldn’t think it was your FM foot, as long as the foot fits your machine okay. Also have you checked your tension? And also make sure you’re using higher quality cotton thread. I like Aurifil 50Wt 100% cotton thread. Needles: If you’ve tried a new needle and your thread is breaking you may want to go to a 90/14 needle size, I like Organ Needles. It’s definitely different pulling around a whole quilt versus a test piece, so the slider might help your quilt not get caught in the face plate. Thank you so much for taking your valuable time to answer to my problems. Will try everything you say and will let you know.